On Monday, March 25, 86’d Mondays is putting the spotlight on the extraordinary women taking over Toronto’s food and drink scene! Hosted by Danielle Finestone (ToFoodies), Womxn’s Night Out will feature an all-star lineup of female chefs, including Ivana Raca (Ufficio Toronto), Suzanne Bar (Avling Brewery & Restaurant), Lauren Mozer (elle cuisine), Dara Gallinger (Brodflour), Erin Smith (McEwan’s) and Princess Arenejo (The Drake Hotel). 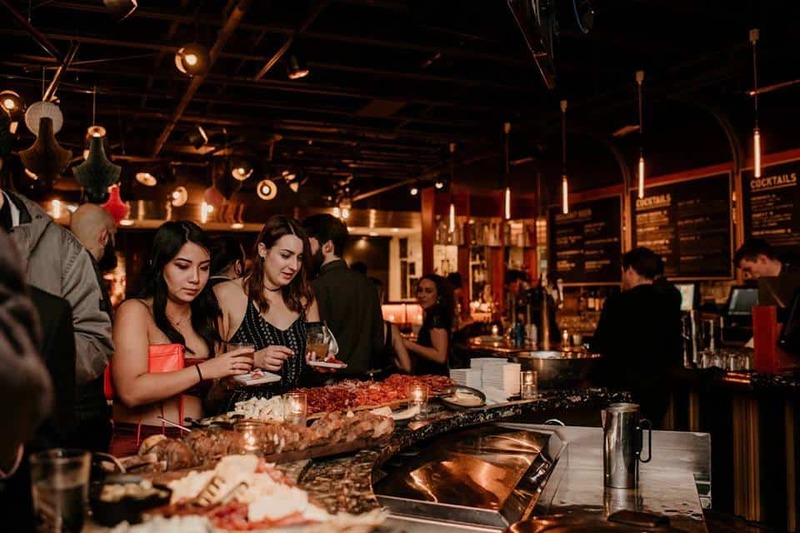 They’ll be pairing their gourmet tapas bites with Campo Viejo wine (which has an all-female winemaking team! ), PLUS a panel discussion featuring the city’s most powerful women in wine, including Theresa Detsikas, Angela Aeillo, Anjana Viswanatha and Madeleine Legoe. The event is FREE, with all charitable donations going towards the Open Kitchen Toronto Female Culinary Scholarship, providing financial support to female-identifying students pursuing culinary programs at George Brown College. It all starts at 7 p.m. at the Drake Hotel Lounge (1150 Queen St W). Get more info here.